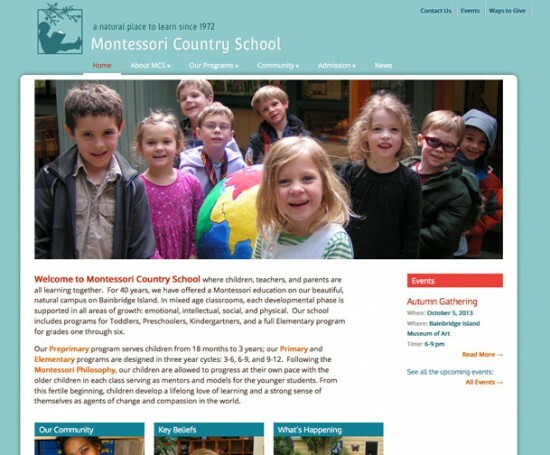 Montessori Country School has offered Montessori education on Bainbridge, Island for 40 years. 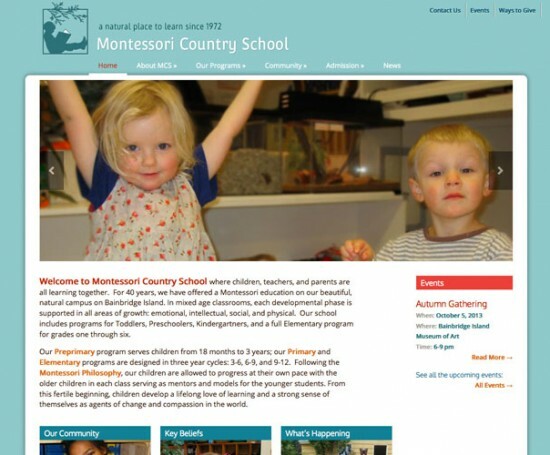 They now offer pre-primary, primary and elementary programs serving students from 18 months to 12 years. 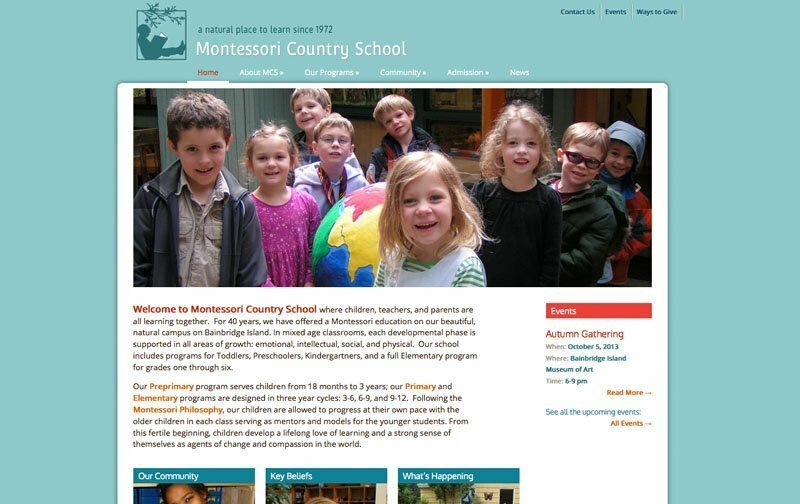 I was charged to develop a site that could convey the beauty of the wooded campus, along with the culture of respect, warmth, curiosity, acceptance, collaboration, and joyful learning. During development, the site was art directed by my partner Linn DeNesti who was designing print materials that needed to tie in with the look of the site. 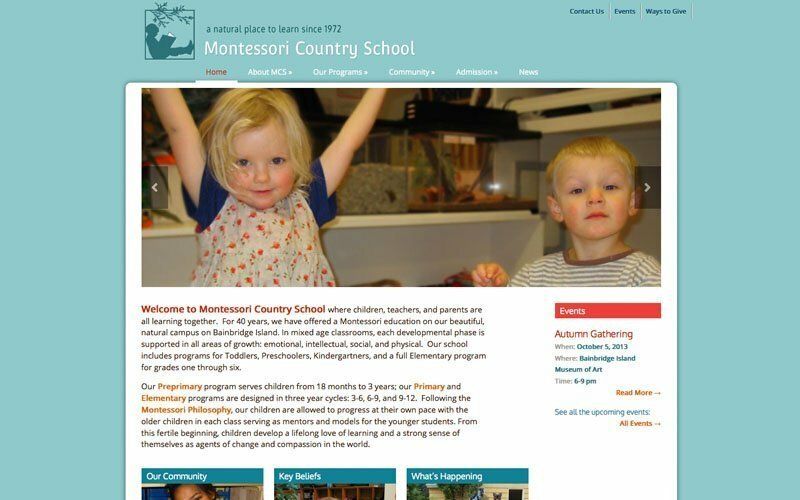 The site needed to be flexible to accommodate the incorporation of elementary programs and to be maintained by school personnel. Ideas and methods that were successful with other schools were used. I supplied areas to feature photographs of the excited and curious students learning and playing. We chose calm colors from nature, built custom editing areas for events, and used the blog for news items.